From townhouses, twin villas and villas, to duplexes and one-, two- and three-bedroom apartments, Muriya's residential portfolio is diverse and sophisticated, offering something for all lifestyles and tastes. Avoiding the cookie cutter duplication of most large scale developments, each of our buildings has its own individual style that harmonises with its surroundings, prioritises privacy and combines high end features with long term solutions. Designed by world-class architects, properties are available with a variety of floorplans and are built across all levels to guarantee the most wonderful vistas. Whether ocean-, marina-, mountain- or golf-green-views, our residences are always private havens thanks to Muriya's low density strategy, and each property is finished to the highest standards, inside and out, from exquisite marble tiling to top-of-the-line fittings. Foreign residents benefit from freehold, tax-free status on their properties and property buyers in Integrated Tourism Complexes (ITCs) and their immediate family are entitled to residency in Oman. When you are unable to be at your property, you can rest assured that our first-class property management services – encompassing maintenance, landscaping, connectivity, security and more – will look after your home and investment, as well as the community it is in. 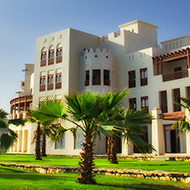 Hawana Salalah's freehold properties are just as beautiful on the inside as the views are on the outside. The low density strategy means that only 25% of the land is developed, ensuring quality of life and ultimate levels of privacy for residents. 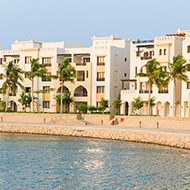 Hawana Salalah residents can choose from two, three and four bedroom luxury villas and various apartments predominantly around the marina. Foreign residents can expect to have tax-free status on their properties and property buyers in Integrated Tourism Complexes (ITCs) are entitled to residency in Oman. Jebel Sifah's freehold properties offer attractive investment opportunities for both Omanis and non-Omanis and are just as beautiful on the inside as the views are on the outside. A combination of one-, two- and three-bedroom apartments and luxurious villas designed by world-class architects feature a variety of floorplans and are built across all levels to guarantee the most wonderful vistas. Foreign residents can expect to have tax-free status on their properties and property buyers in Integrated Tourism Complexes (ITCs) and their immediate family are entitled to residency in Oman.